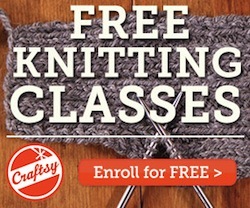 If you are looking to learn some new crochet skills, then look no further. I have found the perfect online class for you and it’s FREE. How great is that? Amazing Crochet Textures is a free online class presented by Drew Emborsky, also known as ‘The Crochet Dude’. Although it is a mini class, it contains an extensive range of techniques that are worth learning. 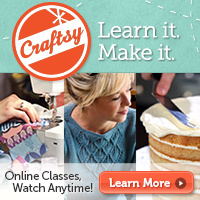 What I love most about Craftsy classes is they are split into lessons. This class has 5 different lesson’s including the introduction. This makes it easy to work through at your own pace. 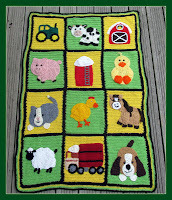 The lessons are based around the finished project being an afghan. 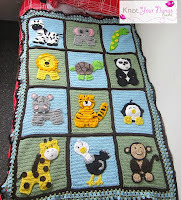 If you go into the class and click on the materials tab, you will find the pattern which includes both written instructions and the charts for the squares. 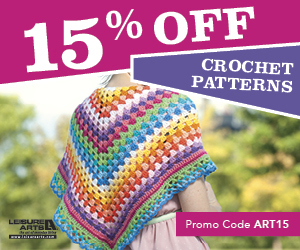 You will also see that you can purchase the Amazing Crochet Textures Afghan Kit. This includes all the yarn needed to complete the afghan. Now I didn't want to recommend this class without giving it a go myself. I started off with the foundation double crochet. I had previously only used the foundation single crochet so it was nice to learn something new. Drew’s instructions were very clear and I am sure I will be using foundation stitches in more of my patterns now. Foundation stitches eliminate the need for the pesky starting chain that you have to redo 10 times because you lose count halfway. They also give your work some stretch which is great for a variety of projects. While I was mastering the Foundation Double Crochet, I had an image in my head of a textured headband for my daughter. I really wanted to try adding beads to my crochet with Drew’s method. 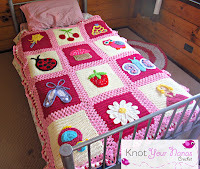 Usually you would string the beads onto the yarn before you start the project. Drew’s method means you can do this as you go. I quickly worked through the rest of the lesson’s and put what I had learned into this design. All the techniques used in this pattern can be found in the Amazing Textures Crochet Class. 5.5 mm crochet hook for main pattern, a small hook that will fit through the center of your bead. Row 1: FDC until the first row measures the same as the head circumference you are making the headband for. You will want to stretch out the first row to take this measurement. This will ensure a snug fit. You also want to make sure this is an even number. I did 62 FDC to get 20 inches. To join the headband, hold the right sides together, with the wrong sides facing out sl st the ends together. Finish off, weave in all ends and turn the headband the right side out. So as you can see, the skills you learn in this class are transferable and can be used in a range of different crochet patterns. I know I will definitely be using them in my own designs. 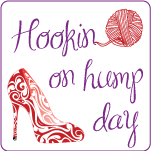 Sign up for the FREE Amazing Crochet Textures Class today and learn fun new textures which are sure to take your crochet up a stitch. This post was sponsored by Craftsy. All opinions expressed are my own. That's a good question! I just measured them and they are 5mm beads. 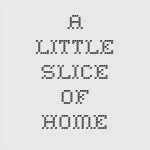 I had to pin this it's just too adorable.